Would you like to work in a growing and leading global supplier of products, services and solutions for process-related operations? In a company where we provide employees the opportunity to learn from some of the best managers and engineers in our industries and where we offer unique career opportunities? If so – continue reading! Primary purpose of the job is to generate new business by selling Emerson´s automation solution products and services. In addition to direct customer work, System Sales Engineer works closely together with different units inside Emerson to ensure the best possible customer solutions – e.g., Measure & Analyze, Valves, Internal Sales, BDM and Project Department. Liaise with Internal Sales to prioritize quotation effort and share knowledge on applications, products, Site Plans, information and ensure customer service levels are maintained. 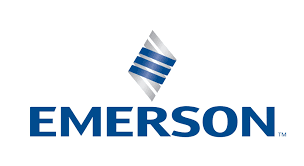 Emerson offers an exciting, challenging and important position, where the right person really can make the difference to the customers and Emerson. You will have great opportunities for personal and professional growth. In reality this means both, in the actual position and in the later career in Emerson (both in Finland and internationally) when you someday want to move on from this position. A dynamic environment is what you’ll discover at Emerson, a Fortune 500 company with $14.5 billion, more than 100.000 employees globally in sales and 155 manufacturing locations worldwide. Together, we’re changing the world, and we have all the resources to help you achieve your professional goals. Please submit your application and CV in English latest at 6.5.2018!